Let’s talk about Waste. We produce a lot of it here in Australia yet it doesn’t get as much press as other forms of waste such as emissions from energy or transport. On average each Australian produces more than two tonnes of waste every year. Around half of that is recycled (depending on which state you’re in) and the rest is sent to landfill where it decomposes in the ground. The main issue here is that the emissions generated by the decomposing organics we produce add up to around 11 million tonnes of CO2 equivalent (source). This includes the oft-forgotten embodied emissions in picking up the waste, sorting it, and transporting it to the landfill site. Most of the gas produced, however, is methane which is around 30 times more potent than CO2 as a greenhouse gas (source). Right, now that I’ve thrown some numbers at you, what can we do about it? I hear you saying I already recycle my bottles and drive a Prius so leave me alone. Well, even if we all drove prii our landfill emissions would account for almost half our driving emissions* and that’s a lot! For the past four months I’ve reduced the amount of waste my household produces by composting anything organic at home. This is called waste diversion. “Does that really make a difference?” I hear you ask. When you think about how much pre-historic dead plant matter must be burnt to put my dead plant matter in the ground for somewhere to rot it does. My household of three produces around 20kg of organic matter per week. Everything from banana peels to stale left-overs goes in. Basically, anything that will decompose without leaving something behind. The result has been a net reduction in our household waste of a little over a third which may sound trifling but over the course of a year that’s over a tonne less waste being trucked around and pushed in to the ground. Let’s not forget that most of that organic waste is water (like us humanoids!) A larger uptake in home composting in the community would lead to significant reductions in municipal waste and a net cost saving to our local councils. Whether that saving gets passed on to the rate payer is another matter. So why isn’t home composting already a thing? Let’s take a look at some of the sticking points. That’s fair. Composting can be a smelly business. Who wants to showcase their rotting leftovers to guests when they come by. I happen to be lucky enough to have a garden where it doesn’t bother anyone. If you live in an apartment this is even more of an issue. But to that I ask – who’s bin area smells good? Several cities around the world have actually got community composting working really well. In parts of London there are food waste recycling programs which provide a communal bin for organics and they’ll even send you compostable bin liners for frees. The contents still has to be trucked to the composting site and put through an industrial composter which requires energy but it’s still better than landfill. And allows apartment dwellers to get involved without consensus from other inhabitants of the building. It also produces a valuable commodity which is reused – fertiliser. Yeah, it is. But so is recycling and we’ve gotten the hang of that. Is separating our organics from everything else harder than separating recyclables? I don’t think so. We’ve already talked about how much less volume of solid waste my household produces since we’ve started composting. If even half of all Australians took it up and they produce a similar amount as me, that’s almost a quarter less solid waste being put in to landfill. To be completely fair, some of our landfill waste is tapped for biogas which is then burned to generate electricity and this is, by most definitions, renewable energy. In Australia landfill methane for electricity accounts for around 60 MW which is a quarter of 1% of Australia’s average power draw (source). So reducing this by even 50% will have a negligible impact on our energy system and it’s economics. Most of our energy still comes from coal and the issue with that is well understood if not well actioned. Now, an important point – cost. Home composters come in all shapes and sizes. A popular variety, and the one I have, is a horizontal drum type. They retail for a bit over $100 but I found mine on the side of the street bound for council pick-up. (Thanks to the kind anonymous soul who donated it to this cause). That seems like a lot to fork out for a glorified bin, and it is. So if you’re not keen to make such an investment which seems like a sunk cost you can always just get an old bin (with a lid) and start filling ‘er up with your scraps. It wont work as well as a rotary composter but the decomposition will still take place. No need for any compost starter or any of that drivel. 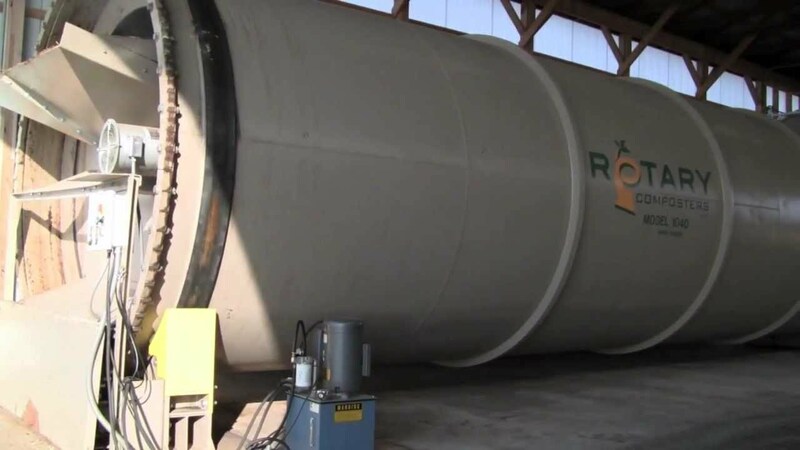 Rotary composters have been shown to release lower quantities of methane than static types because turning the compost over aerates it which assists in the process of aerobic digestion. This works because the bacteria eating your organics enjoy oxygen and the main products of this process are CO2 and water. By comparison, static composters work through anaerobic digestion, meaning there is a lack of oxygen. The consequence is higher quantities of methane released to the atmosphere which, as previously mentioned, is much more potent as a greenhouse gas than CO2. Whilst rotary composters are better than their static counter parts, any variety of home composting is better than dumping in landfill. They require significantly more maintenance, needing a number of factors to come together to allow the process to work effectively. Due to these two points, worm farms do not meet the Jiuntu requirement of maximum impact, least effort. Another variety of home composter is the kitchen composter. This sits in your kitchen and all composting takes place there. They generally require the addition of compost mix which improves the process and reduces the smell factor since it’s kept inside. 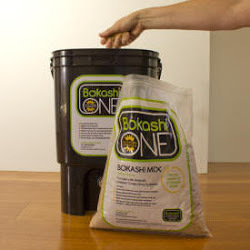 A popular product is available from Bokashi. Unless you’re a die-hard environmentalist who doesn’t have a garden but wants to make their own fertilizer for some reason, I’d go with something a bit simpler and more affordable. Home composting has the potential to significantly reduce our collective emissions. Seeing as its relatively easy and cheap it makes a lot of sense. If we eventually reach a critical mass of home composters it will be saving our local councils moolah (in dumping fees, fuel and wages) so hopefully that cost would get passed on to the rate-payer. In the mean-time you only get to feel good about it and bragging rights to anyone who’ll read your blog. *Based on average Australian annual mileage and combined urban/freeway Prius average emissions. Next: Next post: Recycling: Environmental Saviour or Guilt Assuager? Interesting article. I hadn’t realised there was a difference in the emissions profile of rotatory vs static composting. Having had a look at the indoor composting kits my gut feeling is that the manufacture and distribution of the additives they seem to require (starter compost, deodorising sprays) may offset the energy savings from reduced landfill. The simpler the better! Thanks for checkin it out. I agree all the miscellaneous composting products are likely to be counterproductive in emissions reduction but if they get people composting who otherwise wouldn’t (or couldn’t because of apartment dwelling etc) then they may have a positive net impact from waste diversion. In essence if you can avoid using them, do – otherwise, get composting!